All our letterpress prints are printed the old-fashioned way. At MAGVA Design + Letterpress we use an antique manually operated Chandler & Price dating from 1885, a Vandercook Roller Series Proof Press dating from 1929, and a Heidelberg Windmill dating from 1969. These antique presses coupled with carefully selected cotton or sustainable papers help to create a letterpress print with character and impression. We take great pride in our customer's satisfaction and therefore take the utmost of care when producing our goods for them. Attention to detail and quality are our hallmarks and we promise to ensure that all goods delivered to our customers meet our standards of excellence. The nature of letterpress is such that subtle variations in inking, colour, impression and position will occur during a print run. These all combine to give each piece it's own character and uniqueness. We promise to check each piece prior to dispatch to ensure that it meets our standards. Please ensure that you are satisfied that letterpress printing is the right choice for you. Once an order is submitted for personalised stationery we are unable to change/cancel the order. Depending on the complexity of your project the lead time can vary from twenty-one to forty days after the final signed proof has been approved and returned. Custom Studio Templates ~ All orders based on studio templates will be printed with the appropriate details as provided by the client and in the colours chosen by the client. Further customisation is available at an additional cost and is charged at our hourly rate of €25. Free P&P on orders over €900 shipped within Ireland. Bespoke design ~ For a bespoke wedding invitation suite we charge €100 which includes two design options and two revisions. Additional revisions and/or changes are billed at our hourly rate of €25 unless otherwise agreed. For orders over €1,000, this design fee will not be applicable. Bespoke designs for Day of Stationery are charged at our hourly rate of €25 unless otherwise agreed. If your bespoke stationery requires handmade envelopes, hand stitching, folding and/or deckle edging, please allow up to 40 working days for completion of orders after final proof has been returned. Large orders may require extra time. Extras such as handmade envelopes, hand stitching, folding and deckle edging are priced upon request. Free P&P on orders over €900 shipped within Ireland. Online prices ~ Prices shown online are subject to change at any time and at MAGVA Design + Letterpress’s sole discretion. Quotations ~ Written quotations are valid for 30 days. Quoted prices are subject to revision at any time and at the discretion of MAGVA Design + Letterpress if not accepted within the 30 days of the date indicated in the written quotation. Once we have checked availability and confirmed your printing schedule a non-refundable payment of €100 will secure your calendar date (print slot) for when your stationery will be printed. This €100 will be deducted from the order total. To ensure that deadlines are met and ensure that you receive your stationery on time, it is essential for the client to provide MAGVA Design + Letterpress with the necessary information, details and confirm the final design approval in order to complete the design and print process. MAGVA Design + Letterpress will not be held responsible for the failure of being unable to complete or deliver a project or print your stationery within an appropriate time frame due to failure on the clients part. Completion thereafter will depend on availability within our print schedule. Once the design/s have been proofed and approved a 50% non-refundable payment of the total cost is due. The remaining balance is due prior to delivery. Payments can be made by electronic transfer, bank draft, cheque or postal order. Once the payment has been cleared the goods will be dispatched. Please ensure to order the correct number of letterpress stationery items you require as the cost of the printing plate and press setup will/may need to be recharged for any extra quantities required thereafter. Proofreading is the client's responsibility. MAGVA Design + Letterpress will provide a digital proof copy of the work for client approval prior to printing. Once the client is satisfied they are required to date and sign the proof and return same (a reply by email to a digital proof is also accepted). MAGVA Design + Letterpress will not be held responsible for any mistakes/errors that go unnoticed after the final proofs have been signed, such as spelling, grammar, details etc…In approving the final proof, the client accepts’s responsibility for any errors that may be noticed at a later date. We will not accept returns or demand for refund for unnoticed errors after final proofs have been approved. If errors are discovered after the final proof approval and the print run has started, a full reprint charge will be incurred.  Due to the unique process of letterpress printing, the cost of printing plates and the setup involved, it is not possible to create one of prints for proofing purposes. All proofs are done and completed via the supplied digital artwork. This finalised and proofed artwork by the client is then used to create the printing plate. If you believe your items to be faulty please advise us within 48 hours of receiving the goods and return the faulty goods to MAGVA Design + Letterpress in its original packaging within 7 days. Once we receive the returned goods and are satisfied that fault(s) is valid and not due to the unique character of a letterpress piece, MAGVA Design + Letterpress will either replace the goods or issue a refund for the purchase price. Letterpress is a hands-on craft and each print will have it’s own unique character, for this reason, we will not honour claims for a refund or reprint. MAGVA Design + Letterpress will not accept returns on personalised items due to a change of mind. All shipping costs for returns and deliveries of exchanges (excluding faulty goods) will be at the customer's expense. If you decide to cancel your order prior to any part of it going to print, you agree to forfeit your deposit or any payments made. Cancellations after your order has gone to print will not be accepted. We can not be responsible for any unforeseen circumstances which may make it impossible for MAGVA Design + Letterpress to complete your order in a reasonable time. Our complete obligation to you may be discharged in its entirety by our refund of your deposit, without prejudice, and disclaiming any secondary consequences or costs that you may incur. Once the design is proofed and approved our turnaround times vary from three to eight weeks depending on the level of work required for the specific print job. Please note - our equipment is old. Should the unthinkable happen and we are unable to provide the prints within a reasonable timeframe, we will refund your deposit. MAGVA Design + Letterpress reserve the right to display and/or use overages of any letterpress prints as samples and promotional pieces. If you wish for your stationery not be used or want us to blur out some details, please send us a quick email to let us know. In the case where the client provides artwork to MAGVA Design + Letterpress for printing, the client agrees to indemnify and not hold MAGVA Design + Letterpress, its parent company, subsidiaries, owners or employees liable for any claim, demand, damages, liability costs and expenses including but not limited to legal fees made by any third party due to or arising from any claim alleging that the printed work(s) violate any copyright, trademark, intellectual property, proprietary or private right of any person or entity. The client represents, warrants and covenants to MAGVA Design + Letterpress that they own all rights, title and interest in, or otherwise has full rights and authority to permit the use of the artwork that has been presented for printing. MAGVA Design + Letterpress liability shall be limited to the sales price of any defective goods. In no event shall MAGVA Design + Letterpress be liable for any special, incidental or consequential damages or compensation, reimbursement or damages arising on the account of the loss of profits, expenditure or commitments by the client. In the unlikely event that we feel that our letterpress goods or associated items may not meet your expectations, we reserve the right to refuse to take on your project. MAGVA Design + Letterpress reserves the right to refuse to print any material that we determine to be illegal or inappropriate for any reason. Orders are shipped via An Post (registered and insured) at a cost of approximately € 25.00 within Ireland and Great Britain and €40.00 to most European destinations. Anticipated delivery within Ireland should be within two working days. European residents should receive their order within 7 to 10 days and the rest of the world should allow 21 days for delivery. All orders shipped outside the European Union will incur additional charges such as VAT and importation duty which are beyond the control of MAGVA Design + Letterpress. These charges are the responsibility of the receiver. MAGVA Design + Letterpress cannot be held responsible for any products lost/damaged in transit, however, will do our utmost to help in any way we can. All items listed on our online store are available for purchase from our website. Simply select the item by placing it into the shopping cart, provide your details, indicate the quantity required and the select the delivery method. Payment can be made through Paypal, by cheque or by bank draft. Once the payment has been cleared the goods will be dispatched. MAGVA Design + Letterpress will not be liable for a lost, stolen or damaged gift voucher. MAGVA Design + Letterpress reserves the right to amend these terms and conditions without prior notice. The information contained within and presented on the MAGVA Design + Letterpress website is for general information purposes only. The information is provided by MAGVA Design + Letterpress and while we endeavour to maintain this information up to date and accurate, we make no representations or warranties of any kind, express or implied about the completeness, accuracy, reliability, suitability or availability with respect to the website or the information, products, services or related graphics contained within. The information contained within this website is for general purposes only and subject to change without notice. We do not provide any warranty or guarantee as to the accuracy, completeness or suitability of information and materials presented on this website for any purpose what so ever. You acknowledge that such information and materials may contain inaccuracies or errors and we expressly exclude liability for any such inaccuracies or errors to the fullest extent permitted by law. Your use or adaptation of any information or materials contained or presented on this website is entirely at your own risk and as such we shall not be liable. It shall be your own responsibility to ensure that any products, services or information available through this website meet your specific requirements. This website contains materials which is owned by or licensed to MAGVA Design + Letterpress. This material includes, but is not limited to, design, layout, look, appearance, graphics and photography. Reproduction is expressly prohibited other than in accordance with the copyright notice which forms part of these terms aonditions. All trademarks reproduced within this website, which are not the property of or licensed to MAGVA Design + Letterpress are acknowledged. For your convenience this website may contain links to other websites, sources of information or material. These links do not indicate that we endorse these website(s). We have no responsibility for the content maintained on these linked sites. Examples of client works presented on the MAGVA Design + Letterpress website have been included with their approval. Some samples presented on this website contain fictitious details of dates and couples.